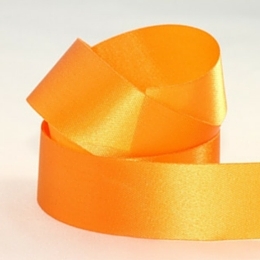 Single sided satin ribbon is one of our more popular ribbons, as it’s cost effective and has a great finish. It’s shiny on one side of the ribbon and matt on the other and has a cut edge. We print on one side of the satin ribbon and it prints very well on the shiny side. It comes in many widths and a wide variety of colours. 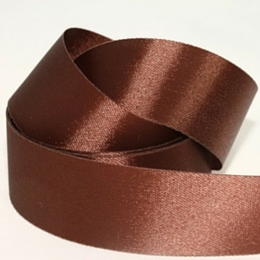 We recommend using this ribbon when you are making bows, as the matt side of the ribbon helps it grip onto itself very well, especially for wider widths. 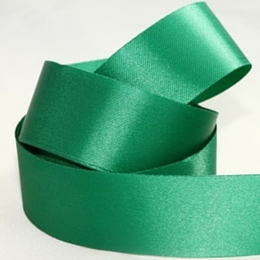 If you’re after traditional satin ribbon with a soft handfeel and woven edges, have a look at our double sided woven edged satin ribbon. Turnaround time is about 5-7 business days after artwork sign-off. Please supply artwork as a high resolution PDF or EPS file (black on white artwork) and we will design artwork for you to fit on your satin ribbon and send it back for your approval. 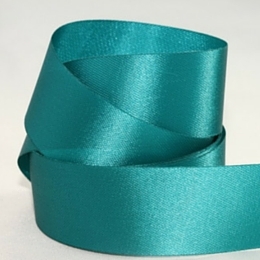 To help with understanding which satin ribbon will suit your needs best, see the comparison of our satin ribbons. Choose from our range of standard ribbon and print colours here.